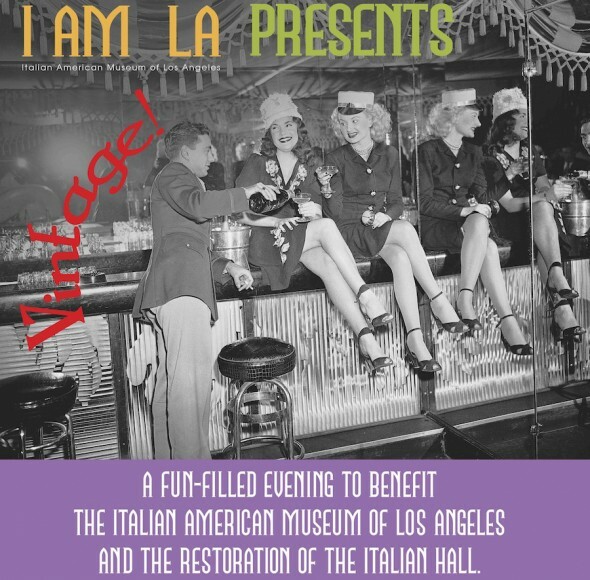 On Saturday, June 11, 2011, the Italian American Museum of Los Angeles will present Vintage!, a fun-filled evening of living history organized to benefit the Museum and continued preservation efforts of the building it calls home: the Italian Hall. Built in 1908, the Italian Hall is listed on the National Registrar of Historic Places and is the oldest remaining structure from the city’s little Italy. Vintage! will feature live music and dancing by the swing sensations Big Lucky, Gatsby era cocktails, delectable cuisine, a vintage fashion show and costume contest, performance by the 1920s revival group the Atomic Cherry Bombs and presentation on the Museum’s design and historic preservation goals. Proving true to its name, Vintage! will take place in one of Los Angeles’ most historic and architecturally significant locations, the 1869 Pico House and its charming cobblestone plaza. Purchase tickets to the event by clicking on the button below. Sponsorships for the event are also available and begin at only $500. For more information please call 213.485.8432.